My Research Paper Year of birth: 1973. Volgograd State University, 100 Universitetsky Prospekt, Volgograd, 400062, Russia. 1998, April. Kandidatskaya Dissertation (Ph.D. Equivalent) “Islam v SNG v obschestvennoi’ i nauchnoi mysli Zapada” (“Western Scholars and Publicists about the role of Islam in CIS”). Institute of Oriental Studies, Russian Academy of Sciences, Moscow. 1995, June Diploma with Honors (MA level). Department of History, Volgograd State University. Volgograd, Russia. March-September, 2003 - Managing Head of the Chair of Area Studies and International Relations, Volgograd State University. 2001-present – Associate Professor, Volgograd State University, Chair of Area Studies and International Relations. 2000 - 2001 Deputy Dean of the Faculty of History and International Relations. 2000 - present. Executive Director of the Volgograd Branch of Russian Academy of Humanities. 2000 - 2001. Deputy Director of the Center for Eurasian Studies “Ra”, Volgograd State University. 1999 - present. Deputy Head of the Chair of Area Studies and International Relations, Volgograd State University. 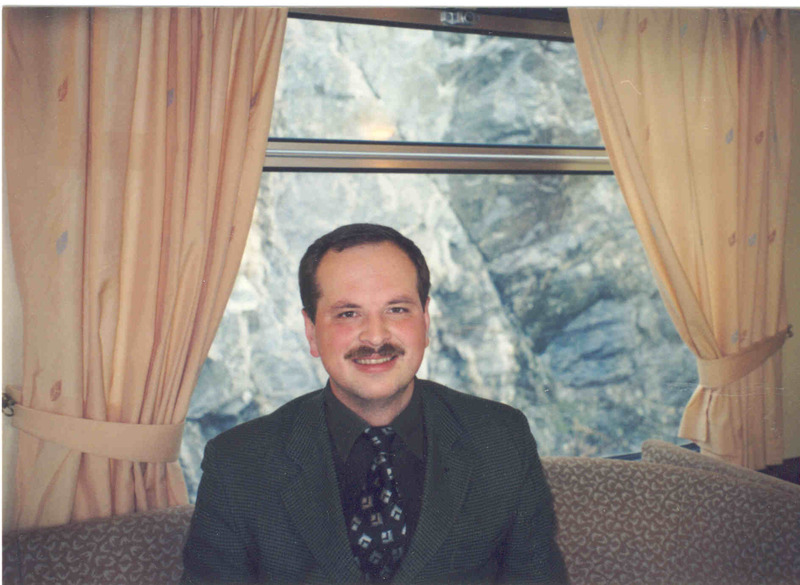 1999 - 2001 Assistant Professor, Volgograd State University, Chair of Area Studies and International Relations. 1998 - 1999 Teaching Assistant, Volgograd State University, Chair of Area Studies and International Relations. February, 2002-present. Vice-Chairman of the Expert Council of the Committee of Nationalities and Cossacks Affairs (Administration of Volgograd Region, Russia). 2000 -present. Expert of the Network for Ethnic Monitoring and Early Warning (EAWARN). Moscow, Russia. 2005, February. COE New Century Fellowship. To be held in July-August at the Center for Slavic Research, Hokkaido University, Sapporo, Japan. 2004, October - present (to be finished in October 2005). Grant of the Transnational Crime and Corruption Center for the international research project "Transnational Crime at Russia's New Southern Borderlands". Position: Head of the project. 2004, April-September. Grant of the Transnational Crime and Corruption Center for the international research project "Drug-Trafficking as a challenge for Russia-Kazakhstan Border Security". Position: Head of the project. 2003, January-April. Research Grant of the Fulbright Senior Scholar Program. The project proposed assumes conducting an individual research project “Social Conflictness across Intercivilizational Borders: Russian-Kazakhstani and American-Mexican Borderlands in the Comparative Perspective (held within San Diego State University, USA). May,2003- October, 2005. Higher Education Support Program (George Soros Foundation). Funding for the position of Resource Faculty of International educational project “Central Asia in International Relations: Interdisciplinary Approach”. 2003, March. Open Society Institute (Russia) award as for a winner of the competition «The Most Active Young Scholar of Russia»; the nomination “The Most Active Candidate of Sciences”. 2003, January – December. Volgograd State University grant for realization of individual research project «Russian-Kazakhstani Borderland: the Issues of Security and International Cooperation». 2001, September –2002, August– group project "Security and Cooperation Issues of Russian New Borders". Supported by the Academic Forum on International Relations, Moscow. Position: Co-Head of the project (together with Dr. Leonid Vardomsky). 2000, July - August. Open Society Institute - Assistance Foundation (Soros Foundation) grant for participation in the Central European University Summer Seminar "Oriental Religions in Central-Eastern Europe: Religious Multiculturalism and Renaissance". Budapest, Hungary. 2000, July –2002, June. Grant of Research Support Scheme (Soros Foundation) for realization of individual research project “Russia-Kazakhstan Borderland: Conflict and Cooperation”. 2000, January – 2002, December. Grant of Russian Foundation of Humanities for realization of group research project “Religious Organizations of the Lower Volga Region in XXth Century”. more than 70 research works including 1 monograph (Rossii'sko-Kazahstanskaya granitsa: problemy bezopasnosti i mezhdunarodnogo sotrudnichestva [Russia-Kazakhstani Border: Security and International Cooperation Issues]. Volgograd, 2005) contribution into 3 collective monographs, articles. Published in Russian, English and Italian.